What are discourses? Are discourses ‘real’, and what is real outside language? 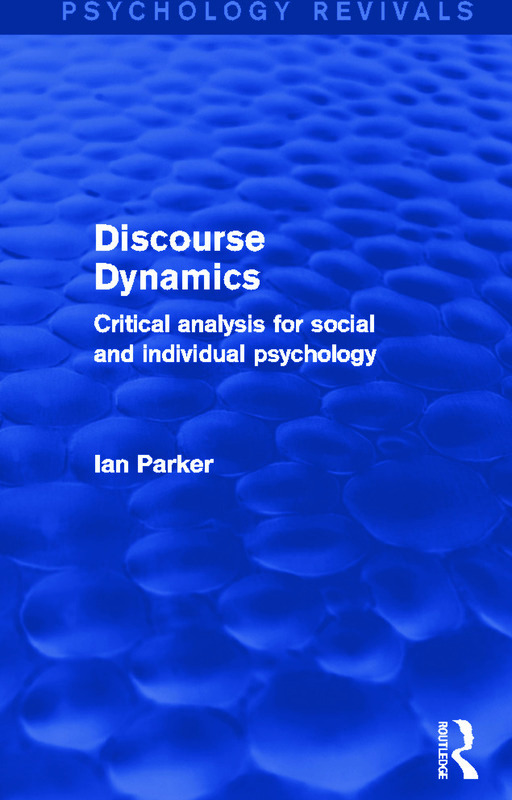 Originally published in 1992, Ian Parker provides one of the clearest and most systematic introductions to discourse research and the essential theoretical debates in the area. At the time it was one of the few texts to defend a realist position, discuss accounts of postmodernity and set out criteria for the identification of discourses. Discourse Dynamics is essential reading to anyone interested in project research and an understanding of the theoretical issues involved in discourse analysis. The book will also be of use to students other than those studying psychology. It addresses the concerns of all those looking at qualitative textual research in the human sciences and is still very much relevant today.